St Chad’s is one of the oldest and most popular colleges in Durham. 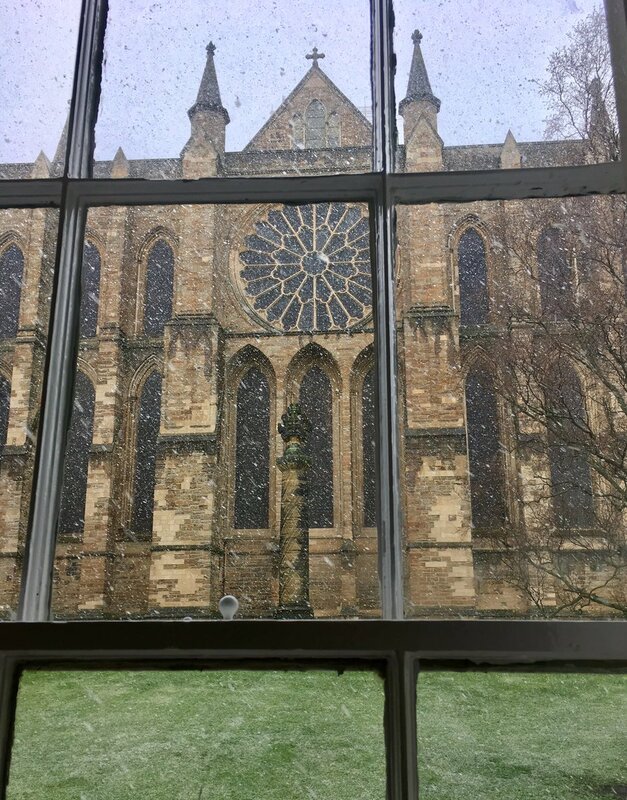 Established in 1904 as an Anglican foundation, Chad’s today welcomes students of all faiths and beliefs to study for the whole range of Durham University degrees. With nearly 400 undergraduate and 150 postgraduate students, we are a small, human-sized community with an excellent reputation as a college where students will be both challenged and supported. Most years, our students achieve amongst the highest academic results in Durham. We have a vibrant intellectual culture including excellent library resources and study space, as well as our own Research Unit – Policy and Practice – which focuses on issues of inclusion and justice. St Chad’s is a progressive, enterprising college, home to students from all over the world, and from all parts of the UK, from a wide variety of backgrounds. Our motto is “non vestra sed vos” – “not what you have but who you are”. St Chad’s is a community known for its quirkiness, where all kinds of diversity is respected and where you will be valued, just as you are, and encouraged to develop into all you can be. The latest Chad's news, plus an overview of our history and profiles of staff, tutors and fellows. Information about our three common rooms, Chad's Chaplaincy and our library. Thinking about applying to Chad's? Information for prospective applicants. Chad's has its own group of researchers who focus on issues surrounding social & economic wellbeing in the UK and abroad. 'Once a Chadsian, always a Chadsian'. Find alumni news, events and learn how you can get involved with college. Host your conference, retreat or wedding on our beautiful grounds. Or just come and stay here for a night or two while visiting Durham! Who says young people in County Durham have low aspirations?